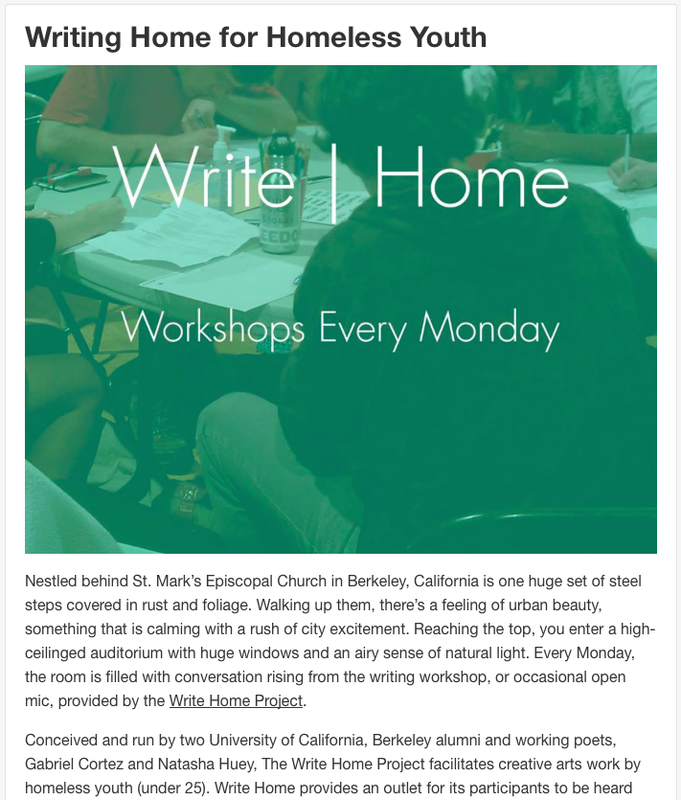 Join the Write Home Project for a community discussion on Youth Homelessness in Berkeley. Learn about the work Write Home has been doing over the last year in collaboration with local organizations to create spaces for homeless youth to find empowerment and community through the arts. 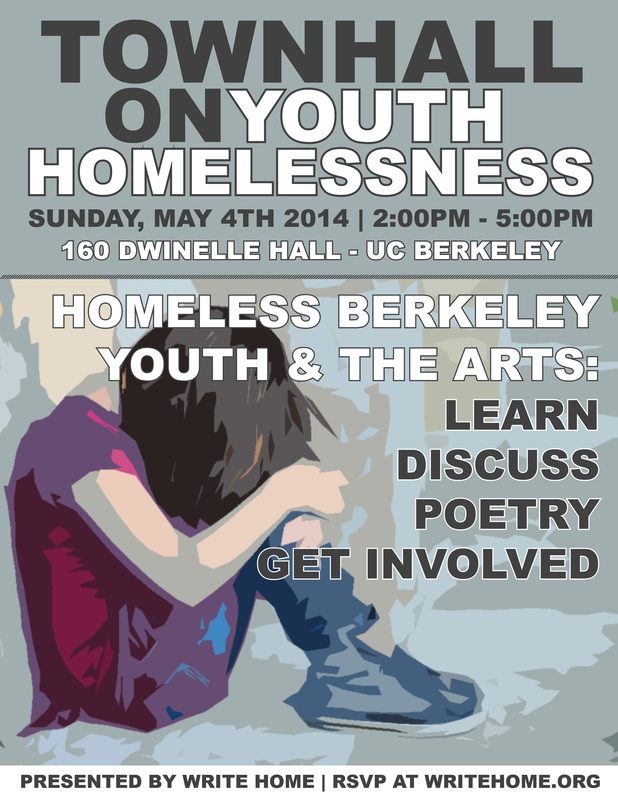 Come discuss issues effecting homeless youth in Berkeley and find out how you can get involved. We will debut three new short films directed by Jamie DeWolf for the Write Home Project featuring writing and performances by local poets Joshua Merchant, Kaila Love, and Ben Grenrock. These videos will frame our discussion around such topics as invisible homelessness, mental health, and substance use in the young homeless community. We will also have a panel featuring representatives from local youth-serving organizations as well as a small writing workshop and open mic. This event is free. Light refreshments and snacks provided. This event is ADA Accessible.